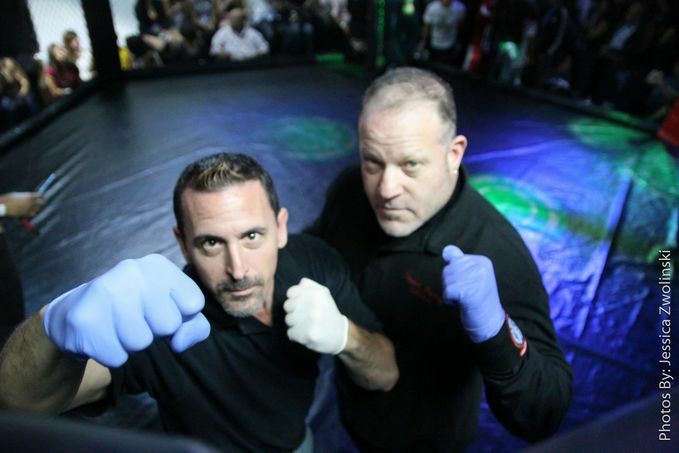 I am Michael Gattuso, CEO of Global Fighting Solutions Inc. Our company sanctions MMA, Kickboxing, and Boxing events. Our number one mission is to provide safety for the fighters while they fight for Florida promoters and the MMA fans in attendance. We can do this by using the most experienced officials in the State of Florida. These Officials have a proven track record on fighters safety by assuring that our safety regulations are strictly followed. My experience comes from being part owner of Amateur Fighting Nation who worked closely with the Florida Boxing Commission to ensure all rules and regulations were being administered. I have gain extensive experience in matchmaking, promoting, and supervising events. Knowing the structure of putting on an event and having the network of people makes the process that much easier. We target to put on the best shows for these amateurs, so they can acknowledge what the future holds. I always treat this sport with the up most professionalism and integrity. Every event should give the audience and fans the best entertainment so that this sport can continue to grow with the highest professional standards set by our larger professional organizations. Global Fighting Solutions Inc. (GFS) is an Amateur Sanctioning Body for Mixed Martial Arts and Kickboxing , and approved by the Florida Boxing Commission. Through promoting events I quickly learned the rules and regulations and started getting involved in making the appropriate changes to benefit the industry. My strong points are in helping revise the rules and regulations for the sports, and making a them safer. I have trained in different styles of martial arts which lead me into promoting amateur mixed martial arts and eventually fighting as an amateur in United Cage Fights in October 2013 at the age of 43. In 2012, I created a new pro-sport for Wayne Bermudez called Mixed Striking Arts (MSA) which is like MMA, but without takedowns or submissions. In 2013, my organization Global Fighting Solutions won 2013 Florida MMA Awards for the best sanctioning body of the year. We currently run Pro Striking and Pro-MMA events at the Miccosukee Resort & Casino on tribal grounds.